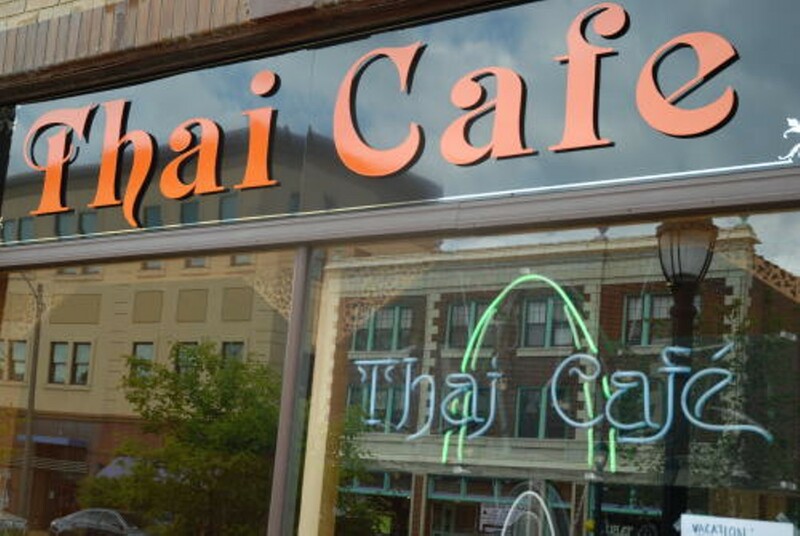 The granddaddy of Supatana "Pat" Prapaisilapa's six area Thai restaurants - and one of four in the Delmar Loop - Thai Café offers classic Thai dishes in a cozy wood-paneled dining room. The menu weighs in at a mere 100 choices, with dozens of stir-fry options (including pad thai, of course), several different curries, larb and other Thai salads and the classic Thai soup tom kha gha. For a different beginning to your meal, try tod mon, delicious deep-fried fish cakes. The kitchen will adjust the spiciness to your liking, but for a more authentic Thai experience, just order your food "hot."